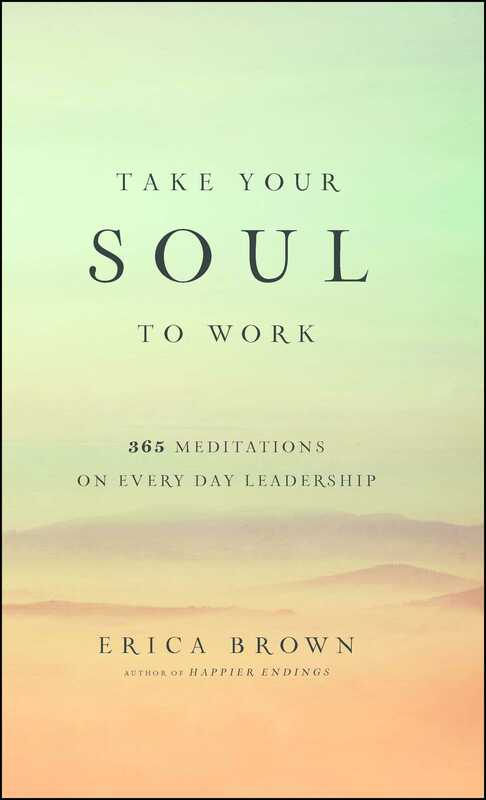 Practical, inspired, and bite-sized wisdom from renowned religious scholar Erica Brown, these daily meditations help add greater depth and purpose to your leadership. Few leaders have a plan when it comes to soul-building at work. As a result, they often find themselves spiritually or emotionally depleted, and they can lose the larger ideals that made them want to lead in the first place. Take Your Soul to Work is a daily meditational for business and nonprofit leaders looking for inspiration. Each entry focuses on a different quality, emotion, or aspiration (“on discipline,” “on compassion,” “on impermanence,” “on callousness,” “on productive narcissism”) by presenting a relevant quote, story, or question inspired by the traditions of all faiths as well as artists, poets, and business thinkers to help leaders reframe, rethink, and reset. Leaders rarely have time to reflect between the meeting, calls, and emails that eat away at the work day. With just one thought per day for the entire year, these 365 meditations will anchor, ground, and enrich corporate titans and nonprofit visionaries. Take Your Soul to Work provides spiritual nourishment and encourages leaders to steer their organizations with honesty, grace, and courage—and experience transcendence in the process. How do you know if you are leading from the inside out, from the depths of your soul and your humanity? You’ll know in your work when you can . . .
Forgive with a full heart. Be fully present for yourself and others. Walk with tenderness and curiosity. Attune your senses to the world around you. Find holiness in shared laughter. Feel purpose in collaborative work. Work to bring more justice to the world. Acknowledge that there are forces far greater than yourself that operate within you. Give voice to the needs of those who do not think or act like you. Use language at work that elevates conversations. Have the trust of others. Actively create time to rest and time to reflect. Know to whom you really answer in life. Value self-improvement as a daily and welcome challenge. Reflect on both your current state of being and the opportunity of becoming. Now the question is how you get there. How do you lead spiritually, from a place of abundance, where goodness spills over into all realms of your life? You need personal discipline to bring greater depth and humanity to your leadership. You need reminders, especially in the darkest hours, to help you remember what leadership is ultimately about: the capacity to stretch yourself and others, to envision something larger, brighter and bigger than yourself, to transcend the ordinary and achieve deep meaning and purpose, and even, on a really good day, to touch eternity. You also need a plan. Most leaders have no plan when it comes to soul-building at work. It is not for lack of heart or compassion that leaders don’t make one. As leaders, we let go of reflection or sometimes default on integrity loans because we have no time—or make no time—to cultivate the spirit. This is not helped by the fact that our followers usually expect very little of us in the realm of virtue. The bar is so low morally, you can practically step over it. No one expects leaders to be nice or kind. And when so little is expected, you may deliver even less and betray your best self. We’re often short on moral, spiritual and ethical language in the corporate sector. Take Your Soul to Work is essentially a prayer book for leaders. Prayer and meditation are not only for religious people with a particular faith commitment and tradition. A meditation is a spiritual pause, an act of reflection and a chance to renew our emotional and intellectual commitments, blending the house of worship with the corner office. When you ask for a little daily grace, you can make every space just a little bit more sacred because of the way you lead. This is essentially a book of hours. In the spiritual world of medieval Christendom, a book of hours referred to a special prayer book of the Roman Catholic Church—a breviary or primer—that contained the service for every day of the year with adjustments for holidays and seasons. We have surviving books of hours from this period. Some owned by the wealthy were ornate and illuminated. Some were personalized with the names and faces of their owners. Others were plain and simple. Grooms gave them to brides as wedding gifts. Parents gave them to children. A book of hours was more than a special keepsake; it was a small, precious compass that both anchored your day in transcendence and affirmed your core beliefs. Take Your Soul to Work is a modern book of hours for leaders. It offers one brief meditation a day on leadership, followed by a personal challenge in the form of a question or assignment. It’s a short daily read because (1) leaders who are working at their peak can rarely afford the time to immerse themselves in books but need many more opportunities for self-reflection, evaluation and challenge. You need to build spiritual capacity daily, not quarterly or in a few hours at an annual conference. (2) We become better by making goodness a habit. Goodness does not emerge out of one retreat on spirituality or one robust conversation on morality and ethics. It emerges from the daily habit of centering ourselves. Why a question a day? Transformation rarely occurs because of a statement. We change because of a question. You may also want to use a page of this book and a question in a department or staff meeting to stimulate a group conversation. For the purpose of this book, we’ll define spirituality as an inner platform for insight, mindfulness and intention regarding self and others. The spiritual life calls us to lead and serve others with tenderness and generosity. In a world where the self often comes first, spiritual leadership acknowledges both the presence of others and also our profound need to live in greater harmony. At the same time, growing a healthy spiritual practice requires us to spend time alone, integrating what we know about good leadership with who we are. If your leadership is a service, then serve others as best you can: from a place of strength, authenticity, integrity and wholeness. Spiritual leadership thrives on attentive listening, compassion, optimism and hope. It requires an understanding that humility is more important than ego. When you feel strong, inspired and well-supported, you can transcend the politics and pettiness of organizational life and realize the best in yourself and others. You can lead with more grace and greater competency, forgiveness and love. Make no mistake. This is difficult work. You have to work at it every day. With each page ahead, embrace discomfort. Let it stretch you to places you have not been before. Try, for a few minutes a day, to live your most important questions. Every meditation on the pages ahead offers a promise of reflection and prayer because a tender moment of prayer can be generative and inspiring. Try to read only one page a day, ideally at the start of your day, to carry the day’s charge with you. Prayer is a reminder of all that is important to us. It puts us in a posture of gratitude to receive the day and its blessings and challenges. It steadies us and readies us to be our best selves every day. John Quincy Adams, sixth president of the United States, once defined effective leadership this way: “If your actions inspire others to dream more, do more and become more, then you are a leader.” Yes. You are a leader. Yes, you can inspire people to dream more and be more when you lead from the inside. And when you truly lead from the inside, you won’t ultimately become just a better leader. You’ll also become a better person. 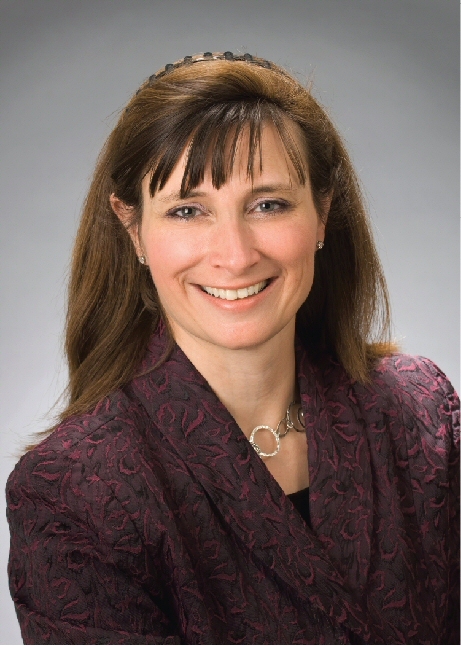 Dr. Erica Brown is an educator and the author of ten books, mostly on the themes of spirituality and leadership. She lives with her husband, four children and two dogs just outside of Washington, DC.